Another night, another British brewery to try. 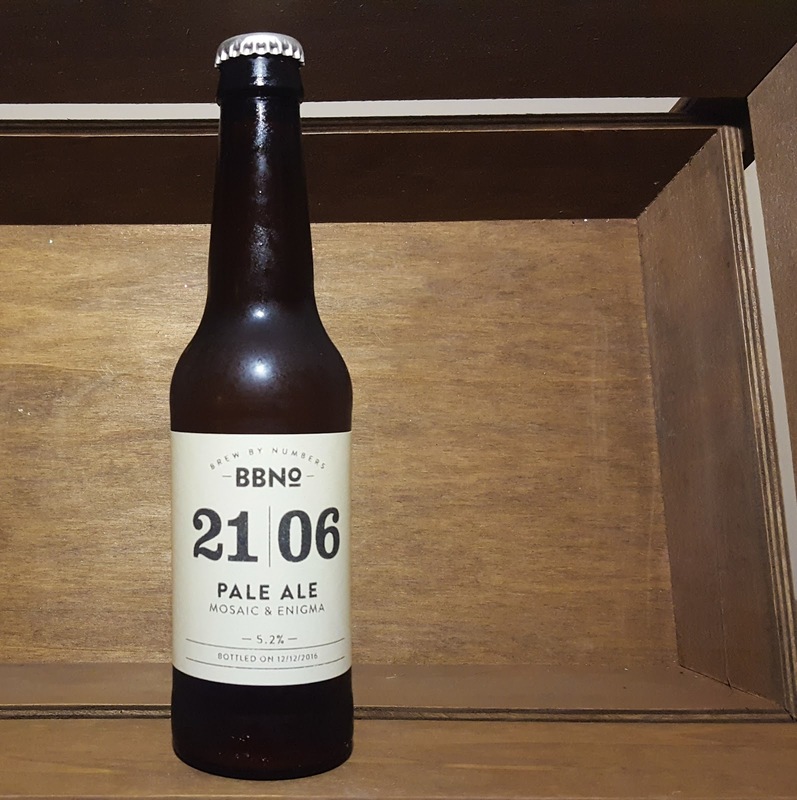 Based in London, Brew By Numbers officially launched in 2012 and now have an established range as well as a strong fan base. Their bottles have a very unique look, with every beer having four numbers dominating the label. 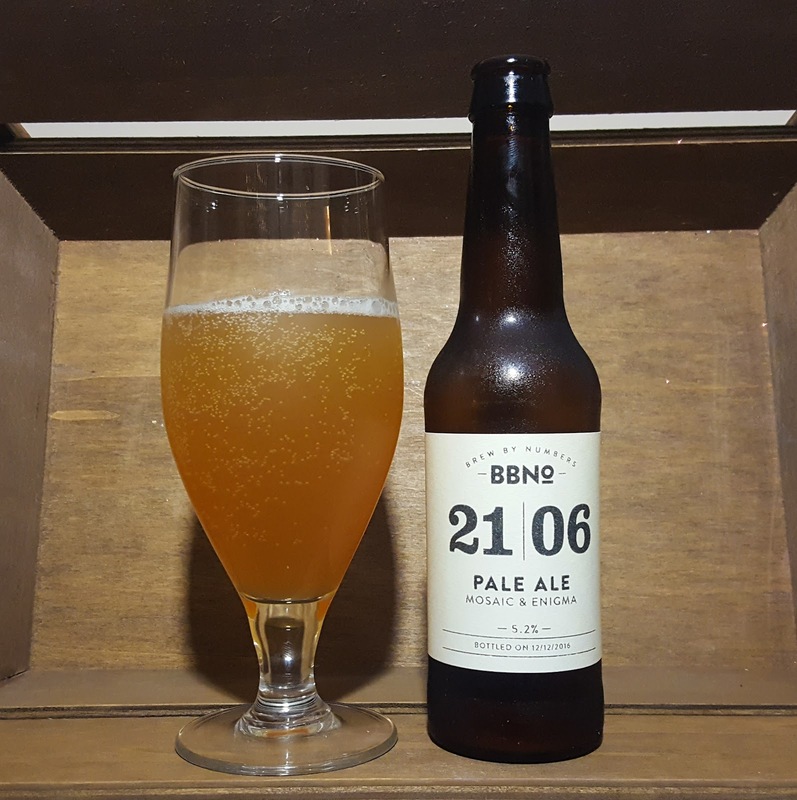 The first two denote what style of beer, in this case 21 being a Pale Ale. The second number relates to the brewery's recipe; here 06 has been brewed with mosaic and enigma hops. 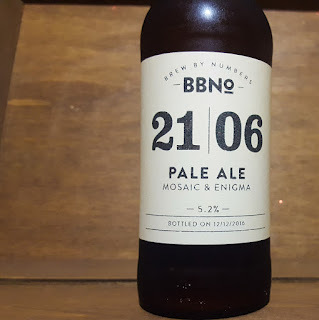 It's a very clever design which, despite the conservative and classy colours, makes it very easy to pick out a Brew By Numbers bottle on a shelf of many beers. 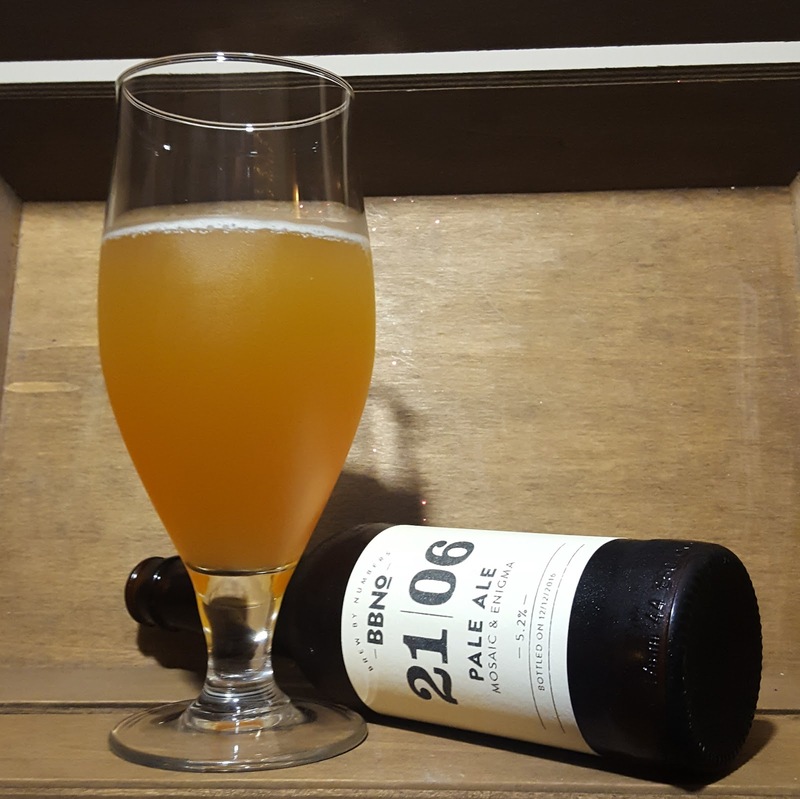 And you want to be able to pick them out, because if this Pale Ale is typical of their brewing, their beers are not to be missed. 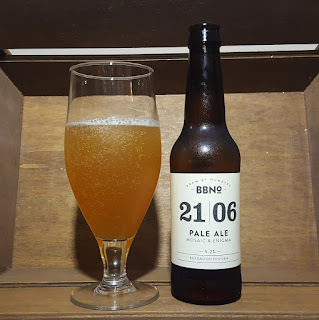 This pale ale looks top notch the moment it's poured into the glass; it is a lovely hazy orange colour, with a white head that does a pretty decent job of hanging around. The aroma is very fruity, with pineapple, mango, guava and citrus orange all present. 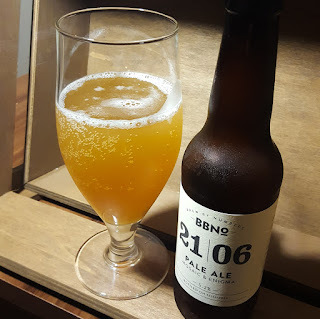 The fruits carry through strongly into the flavour; first up the mango dominates before the pithy orange takes over followed by a resinous pine bitter finish. 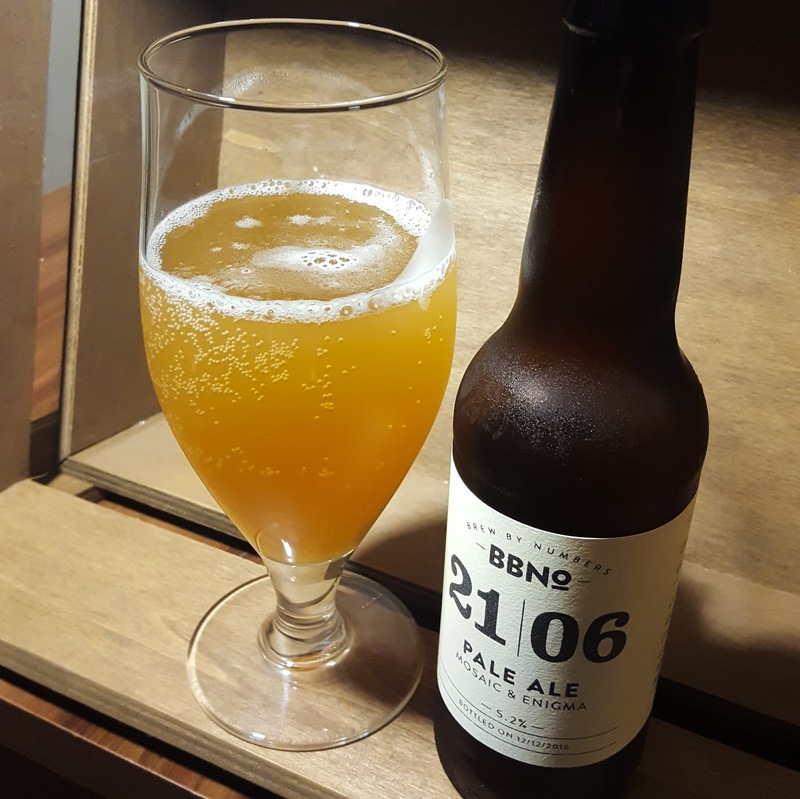 This Brew By Numbers Pale Ale is bursting with flavour and is incredibly easy drinking. Drunk from the fridge as directed on the bottle this is incredibly refreshing and one that I will definitely be drinking again. I had this after a cloudwater V11 and I thought it was just as good. 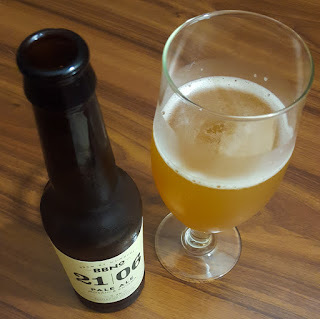 Amazing beer.